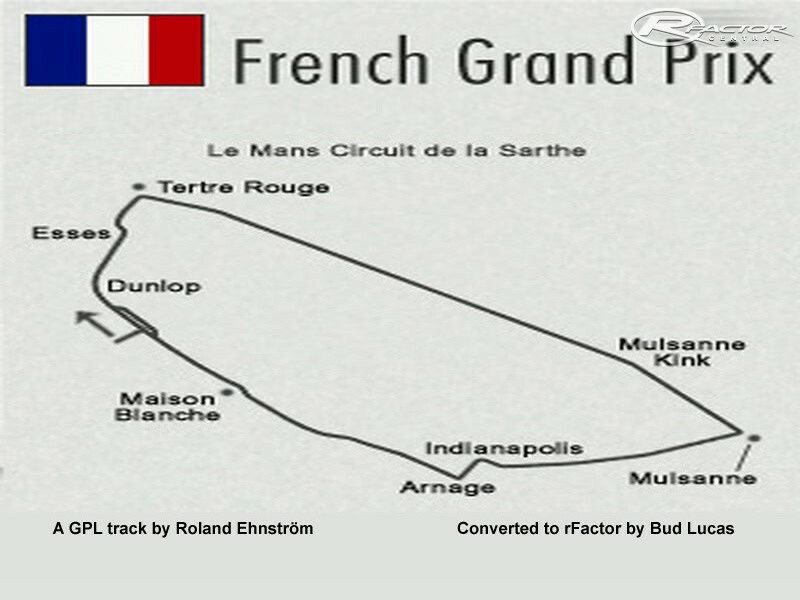 I have completed a conversion of the GPL Le Mans 1967 track to rFactor. The original author was kind enough to give me permission for a public release. All the hard work was done by Roland Ehnström and his mighty team when they made the GPL version, all I have done is change a few texture files. Happy New Year guys and enjoy. There are currently no setups for Le Mans 1967. Add a Setup. seems to be a very good track, but here i'm having a c++ runtime error. OK, I know why I was getting the strange graphics with this track. Somehow my track graphics setting in the game was set on medium. When I set it back to full there were no more graphics problems. Track looks great now. Nice track, thank you! For some reason some of the trees appear on the actual roadway? You can drive through them, so there's no damage to the car. These strange trees look sort of flat and thin. Hard to explain. They also appear on the sidelines. Not all the trees are this way. Otherwise great track! I'm getting the same thing you are with the graphics. Doesn't happen on any other track but this one. Really funny. I have a screen shot if I can figure out how to put it on here. Oh, by the way that video doesn't look anything like LeMans 1967, not sure what track that is. Great Job. This older Le Mans course's doesn't have as many chicanes as today's course. Less braking, but more "Highway Hypnosis" is a tough challenge in endurance racing! Could use an Update but is good enough as it is! Good work! This track is great! 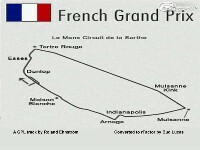 i think that it could be better if the cars lined up at the start of the race in the "le mans start" positions. But that's just my opinion. I like running at converted tracks as they are generally more fps friendly.